The Benefits of Local Raw Honey — Yalaha Bootlegging Co. Raw honey is loaded with health benefits that can help with avoiding sickness and suppressing allergies. Raw honey contains bee pollen, which fights off infections and provides allergy relief. Honey also has the ability to increase the immune system. There is a very good chance you’ll find raw honey at Blue Bayou Farms’ country store. Blue Bayou Farms most popular honey flavors are orange blossom and wildflower. Honey is infused with natural flavors to enhance the taste. Honey bees that make the raw honey for Blue Bayou Farms are cared for in Leesburg which makes the honey incredibly local. If you’re on the hunt for local raw honey then look no further! Blue Bayou Farms has the best local raw honey. 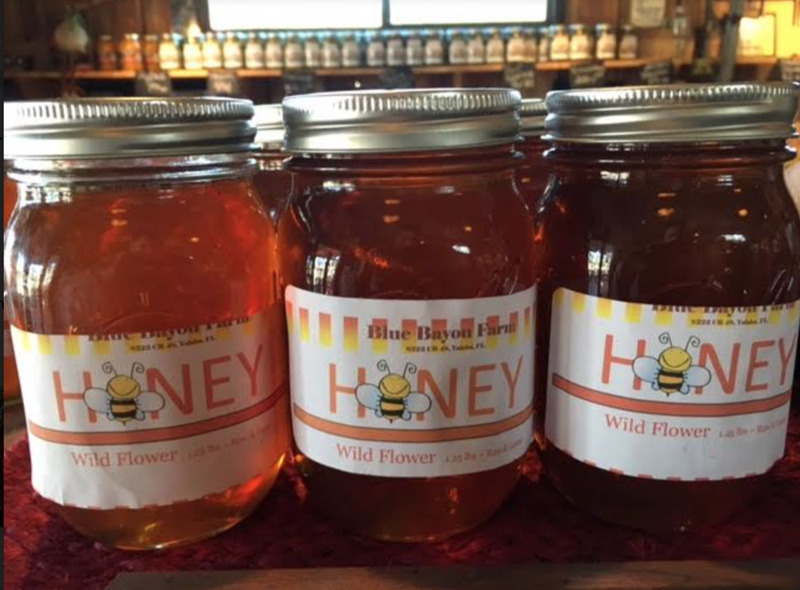 Orange blossom and wildflower honey are the most popular honey flavors sold at the country store of Blue Bayou Farms. Raw honey is farmed by and attentively cared for by a close family friend of Blue Bayou Farms.